Inner Sanctum of the Ninveah: Speed Force Assemble! Every week when I run a fleet I try and mix up the doctrine I call for to keep things interesting. Sometimes its Rogue Squadron Algos fleet with logi backup, sometimes kitchen sink, sometimes Battlin' Battlecruisers. Last night I called for Speed Force. 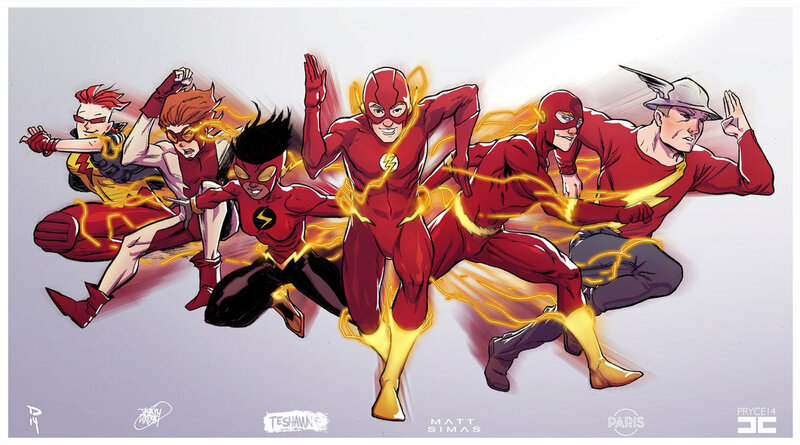 What is Speed Force Doctrine? Well, its not so much a doctrine as a guideline: Fast Frigs. Really fast frigs. The idea is that while the ships in the fleet cannot do a lot of damage they are so fast and able to catch nearly anything else that they can split up the enemy by simply moving from target to target before they know they are being attacked. Nothing can escape. It has weaknesses however. Like enemy ships backed by logi. Or balls of enemy ships with lots of webs and scrams. So as long as you run from those opponents and find some easier prey, it can be a fun fleet. And last night it was tons of fun. I was in my Speed Garmur, which with my implants and a chugged Quafe Zero gets me over 8 km/s speed and points to 39 km (46km overheated) and does decent damage (No links). We headed out towards Obe which is a low sec system entrance to Vale of the Silent next to famous Taisy and M-OEEB systems. Along the way we killed a smart bombing Hyperion of a Pandemic Legion pilot which always makes me happy, getting kills on pilots of famous corps. Once in the target area we got involved in what can only be described as a surreal brawl in Hakonen at the sun where several members of Psychotic Tendencies came at us at different times and ranges and allowed us to get a Navy Vexor, Hurricane, Confessor, and a Gila in exchange for a crusader. While we were fighting, an honest to god Nyx dropped in for some reason and sent fighters out. He didn't stick around. We had a lot of damage so we docked at a station, and then decided to warp over to another station that had a medical bay to make some jump clones for future activities. We discovered a camp outside with fast locking guns so I decided to make a run for it because I was drunk on speed and *space rich* so don't care about losses. I undocked, hit the MWD and overheated and zoomed past several attempts to catch me. I got out of range of the damage at 50% structure and a lot of giggling. We headed back home and in Tama, good old Tama, we found some more fights along side our friends in Rapid Withdrawal where we scored a kill on a Navy Brutix, another Gila, a Dominix, an Onyx, and finally a Caracal palate cleanser to finish the night. 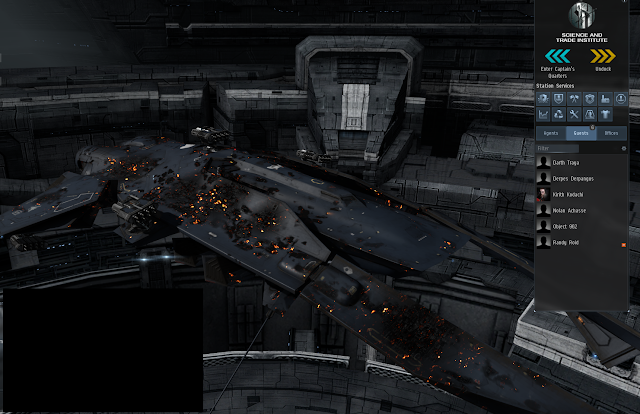 All told we killed over 2 billion ISK worth of ships and lost two Crusaders. Awesome fun! I hope this Great War lasts a long time, its bringing the targets out.